Divine Liturgy will be held on March 17, 2007. The Church commemorates the all the departed on this day. Confessions will be heard at 9:30 and Liturgy will begin at 10 AM. The Liturgy will be held at St. Gregory of Nyssa Church, as usual. There will be Divine Liturgy on the second Saturday of every month. Liturgy will be held at St. Gregory of Nyssa Church. Confessions will be heard at 9:30 AM and Divine Liturgy will begin at 10:00. For more information about the Russian Orthodox Community in Columbus please contact Boris Livchits at 740-513-2700 or Fr. Ilia Marzev at 440-743-0609. 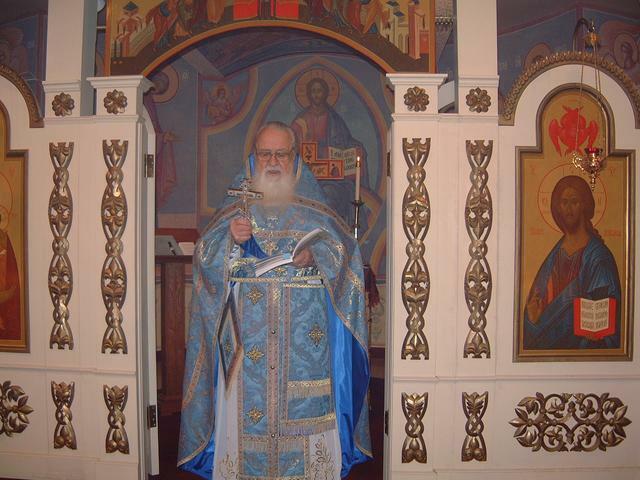 On Saturday January 21, 2006, Divine Liturgy and the Great Blessing of Waters was served in Columbus, OH. Fr. Ilia Marzev, assistant Dean of St. Sergius Cathedral of Cleveland, traveled to Columbus this day to serve the faithful with the blessing of Bishop Peter of Cleveland. Father was joined by the Cathedral Choir Director, Reader Alexander Petrovsky. The services were held at St. Gregory of Nyssa Church near the campus of Ohio State University and attended by 25 faithful of the community. With God's help, more services will be upcoming for the Russian Orthodox community of Columbus. St. John Russian Orthodox Community is dedicated to Saint John of San Fransico. On October 11, 1993 the holy relics of St. John were opened and found to be incorrupt. 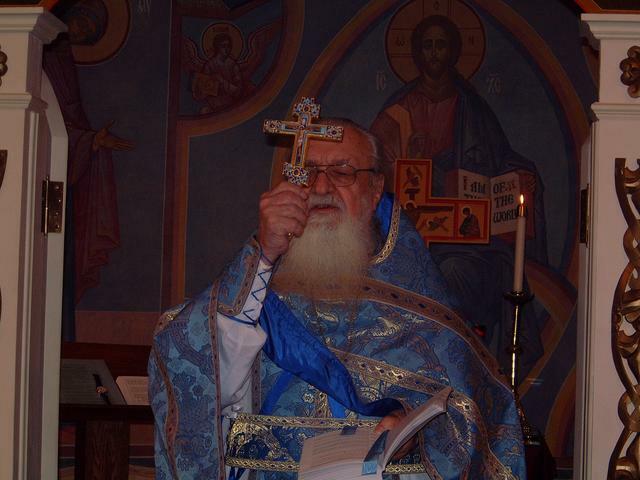 When our parish was organized Archimandrite (now Bishop) Peter suggested to Fr. Victor to consider having this be the parish feast day. Archbishop Alypy blessed for the community to celebrate its feast day on the opening of St. John's relics. It was a special joy for the faithful members of the Mission when Bishop Peter came to serve in Columbus on the actual day of the parish Feast Day. This was the first episcopal visit to our mission, and Vladyka's visit strengthen the resolve of the parishioners to continue in the desire to one day build a church. St. John Russian Orthodox Mission was founded by Priest Victor Boldewskul with the blessing of Archbishop Alypy in October of 1999. In June of 2001, Archbishop Alypy requested the Father Victor accept a new assignment as rector of Saint Sergius Cathedral. 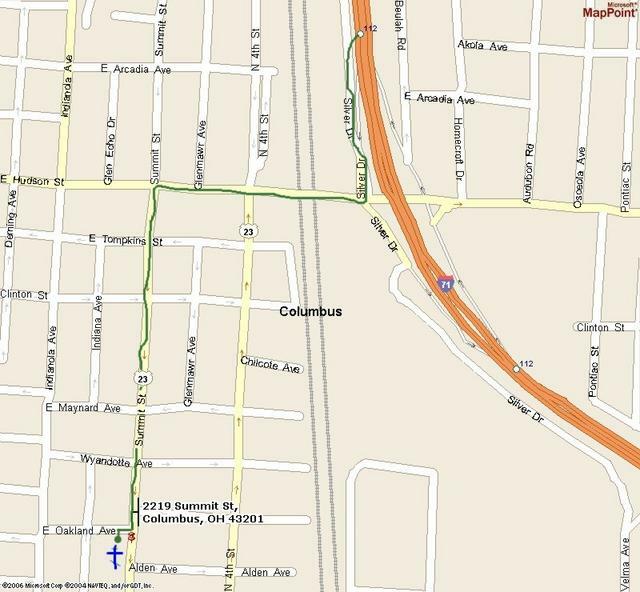 Although a perminent priest has yet to be assigned in Columbus, the Orthodox faithful of Columbus have kept the mission going.